Looking for a new favourite, or are you new to the area? For all our residents still trying to find their favourite pizza place, we have a list of the 5 best pizza places near your luxurious Isabella Apartments. Since 1976, Olympic Pizza has been creating the finest quality pizzas made with homemade dough, fresh never frozen veggies, and 100% mozzarella cheese. Try a gourmet or traditional pizza, hot sandwich, salad, or pasta. Olympic 76 is open Monday to Friday until 11pm and Sundays until 10pm. At Panago Pizza you'll find 70 different kinds of pizza, plus a make-your-own option! Their pizza is made fresh with 100% organic tomato sauce, and all their pork and chicken was raised without antibiotics. There are vegan and gluten-smart options as well. Walk in or ask for delivery! Walk down to North of Brooklyn Pizzeria for delicious thin crust pies made with fresh, seasonal ingredients. Order by the slice or pie and pair it with their scrumptious garlic knots! 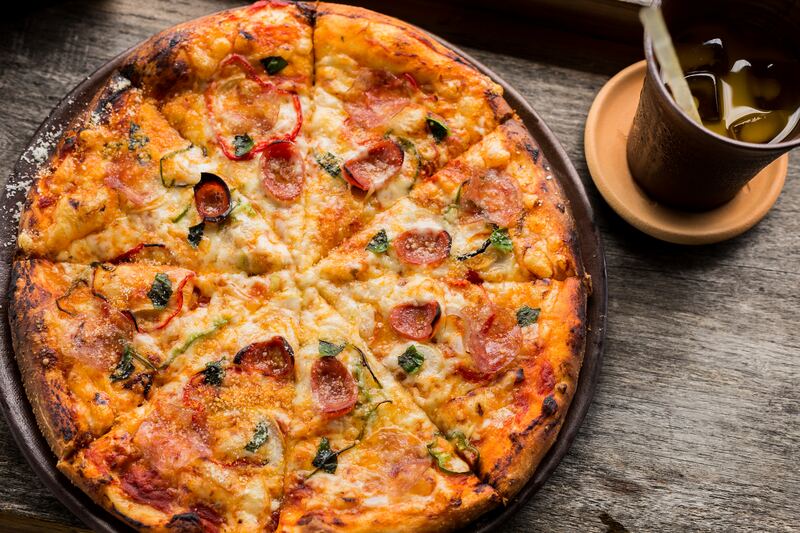 Some of their most popular pies include Killer Bee, Margherita, Kale & Bacon, and Puttanesca. At Pizza Nova you can order delivery or walk in to place your order. This family run pizzeria uses pure ingredients from Ontario, and ensures every pie is made fresh. Pizza Nova offers signature pizzas, special pizzas, and make-your-own options along with pasta dishes, salads, and hot sandwiches. Since 2016, Salt & Tabacco has been one of the best places to get pizza in Toronto. They make great signature pizzas including Calabrese, Mr. Hand, and Next Door. You can also add meatballs, a great salad, or visit the bar for beer on tap, wine, and soft drinks. Delivery is available through Uber Eats and Foodora.